Annika Milisic-Stanley was born in 1975, grew up in Britain. After graduating from the School of Oriental and African Studies, she worked with humanitarian projects in Nepal, Kenya, Somalia, South Sudan, India, Burundi and Egypt as well as living in Tajikistan for several years. 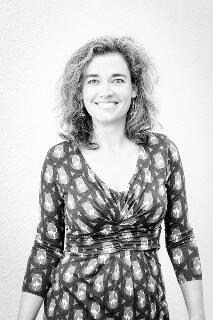 Annika lives with her husband and three children in Rome. In addition to writing and painting, she works as a campaigner to raise awareness on the plight of refugees in Southern Europe. She is writing her second novel. 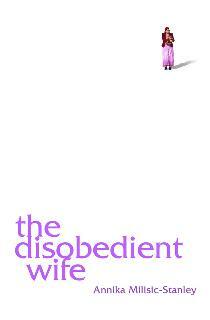 NAW- Tell us about your book, The Disobedient Wife. What is it about? How did you get the idea for it? The Disobedient Wife is about expatriate and local life for two woman in Dushanbe, Tajikistan. The Tajik works for the British expatriate and slowly they become friends. The book uses the intertwining narratives of the women to look at several different themes, including the retraditionalisation of Tajik culture since the fall of the Soviet Union and the impact of this on women; drug trafficking and migration to Russia; poverty and entrepreneurship in Tajikistan and issues of expatriate identity. NAW- Tell us about the characters of Harriet and Nargis. How did you develop the characters? Given that the culture is alien to you, how did you go about researching for The Disobedient Wife? Harriet is an amalgamation of many expatriate women I have known over the past two decades. She is rather lost as she does not work and has not chosen the expat life. She is expected to entertain her husband’s work colleagues, cook well, keep house, look good and bring up the children. Nargis is also based on several woman that I have known. She is a widowed single parent who has married again for a second time. She has a bad reputation in her community having dared to leave her abusive second husband, but her parents have shown mercy on her and have allowed her back into the family home. She is a courageous, intelligent character with ambition and drive and she works hard to try to provide for her children. I lived in Tajikistan for more than two years and during this time I ran a mother and baby group and a kindergarten in my house. I also researched women’s rights using documents by OSCE, NGOs and the UN and spoke with people working with gender issues in Dushanbe. NAW- Western publications have a habit of representing Islamic women as suppressed and weak which is not necessarily the case in all Islamic societies. How did you avoid this clichéd representation in your book? Suppression is a question of material background in Tajikistan. Educated women and women with good incomes are usually not subjected to the same pressures as women from rural or poor backgrounds. Nargis does have a poor background but is an exception, being neither weak nor suppressed. She is a strong muslim woman rebelling against the cultural barriers imposed on her. In conservative (poor) Tajikistan, women are not supposed to marry a second time, so leaving her second husband is a scandal. Tajik women without husbands find it difficult to work because they are seen as having loose morals and they endure more harassment. In the book I show that when women leave abusive husbands in Tajikistan, they are often forced to go back to the marital home by their own families who fear the shame of divorce. I felt that it would be wrong to pretend this is not happening for the sake of the story. A character in a subplot, Savsang, is not as strong as Nargis and cannot cope with scandal. She pays the ultimate price for her guilt. NAW- How difficult was it living in Dushanbe? Tajik women (even though denied many of the freedoms that women in the west take for granted) are a lively bunch, aren’t they? Dushanbe is a challenging place to live because of the food shortages and other daily difficulties (frequent power cuts, cockroach and rat infestation, illnesses due to the dirty water supplies). I was lucky as I lived in relative luxury. I also had access to foreign medicines and a private clinic when needed. There was a friendly community of expatriates and locals in Dushanbe. Tajik women are strong and independent in Dushanbe and those women with decent incomes live in much the same way as Western women. The poorer the household, the more likely it is that women will not have Western freedoms. NAW- Why select Tajikistan as a setting? I am not really aware of any other English novels set in the country. I selected Tajikistan as a setting because I found it to be a fascinating country. To my knowledge, there are no English novels set in Tajikistan on the market. Tajikistan’s Government does not allow freedom of expression and writers are intimidated and imprisoned. NAW- Have you ever faced a situation when as a writer, people judge you on the basis of your works? I mean, I am a writer and some of my friends actively avoid me because they don’t want to be featured in my works even if I change their names! I am sure that some people will assume that Harriet is based on me, or worse that her husband Henri is based on mine. But this is a fictional work and whilst I may have used the odd quote I have overheard none of the characters are real. NAW- Tell us about your day job. What do you do when you are not writing? Two days a week I work at the Joel Nafuma Refugee Centre, a day centre for refugee men in the centre of Rome. I teach English and run a job programme helping refugees to write CVs and apply for jobs. I also work as a freelance editor and time permitting paint landscapes and city scenes in pastel and oils. The first draft of my second novel, ‘Snake Queen’ is nearly complete. This novel explores issues of ethnicity and identity in conflict. It centres around a refugee girl who escapes the genocide in Rwanda to become first an illegal immigrant and then a refugee in Kenya. I am interested to what happens to people who cannot choose allegiances in war because their heritage represents both sides. They are internally conflicted, neutral and yet become figures of distrust, as they are a potential enemy of all. The main character is, again, a strong female role model, a survivor who prevails.